Michael Organ was the Australian Greens Federal Member for Cunningham between 19 October 2002 - 8 October 2004. He was born in Bulli, on the New South Wales south coast just north of Wollongong, on 22 September 1956 to a family which has resided in the Illawarra district since 1839. He is married with two children. 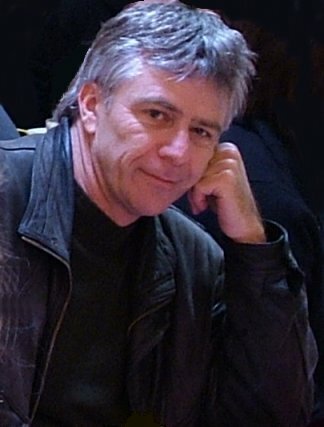 Prior to his election to the Federal Parliament in 2002 Michael worked as a local historian and at the University of Wollongong as a research assistant and archivist. He is the author of a major work on the history of the Illawarra and South Coast Aborigines as well as being widely published on areas of local Illawarra history. Michael is a strong supporter of the union movement. He has been a union member for almost 30 years and a union delegate for the Public Service Association at the University of Wollongong. In recent years Michael has been involved in environmental campaigns associated with the Illawarra Escarpment, the Edgewood estate at Woonona, and Sandon Point. Since leaving parliament at the end of 2004 Michael has worked at the University of Wollongong as a project manager and continued his research and writing activities. Australia's refugee policy - or specific practices by the authorities - have been subject to harsh criticism by its domestic courts, legal, medical, church and human rights groups, parliamentary inquiries, international human rights organisations and United Nations bodies. Australia is in fact becoming an international pariah due to the actions of the Prime Minister and his Coalition government. The Minister for Immigration and Multicultural and Indigenous Affairs has made no secret of his irritation when the government's hard line stance on detention issues is questioned or undermined by the community, legal fraternity or the courts. This policy flies in the face of the way in which Australia traditionally dealt with refugees and immigrants, especially in the post world war II period. Compassionate treatment of asylum seekers - who are now rather coldly termed illegal non-citizens - has gone out the window, and all the forces of the federal government - administrative and legal - are being railed against them. The purpose of this Bill is to amend the Migration Act 1958 to prevent or limit courts from issuing interim orders for the release of immigration detainees. The Bill has been introduced to prevent interlocutory or interim orders for the release of detainees, whether or not in the context of broader judicial proceedings. Australia's refugee policy - or specific practices by the authorities - have been subject to harsh criticism by its domestic courts, legal, medical, church and human rights groups, parliamentary inquiries, international human rights organisations and United Nations bodies. Australia is in fact becoming an international pariah due to the actions of the Prime Minister and his Coalition government. As we have seen, in recent times this government has faced a raft of legal challenges under Australian law, and there is intense and ongoing legal scrutiny of its actions in regards to the treatment of asylum seekers. The government's reaction has been to further restrict the ability of the courts to make decisions to uphold human rights, or in any way limit the government's already far-reaching powers to repel or divert unwelcome asylum seekers. The government's Border Protection and Mandatory Detention policies have given rise to such human rights abuses as the incarceration of children in Australian detention centres and the shameful Tampa and children overboard affairs. Previous speakers such as the member for Lalor and the member for Graindler have highlighted the national disgrace of children in detention. Unfortunately this is just one deplorable element of the government's detention regime. This Bill is yet another example of the Government's strident efforts to further broaden its power in this area, and to deal with asylum seekers as criminals, rather then on a more humane and compassionate basis, as was done in the past, and as should be done here and now. The Migration Amendment (Duration of Detention) Bill 2003 adds four new subsections to section 196 of the Migration Act. As I said before, the purpose of this Bill is to tighten mandatory detention rules to prevent courts from ordering the release of failed asylum seekers and those awaiting deportation. In attempting to pass this Bill the government seeks to remove a loophole which allows the Federal Court to rule against the Immigration Department detaining people indefinitely. Remember that word, Mr Speaker - indefinitely. In April of this year, the Full Bench of the Federal Court decided that a failed Palestinian asylum-seeker was being detained illegally. 25 year old detainee Akram Al Masri had sought release from detention because he wanted to return home, but his repatriation could not be arranged. The decision of the Federal Court had implications for dozens of others in detention fighting deportation. Twenty persons have since been released by court order. A bit of history is warranted here. In 1992 the Australian Parliament, under a federal Labor government, introduced mandatory detention via the Migration Reform Act. The Act commenced in 1994 and introduced mandatory detention of all so called 'unlawful non-citizens'. "To avoid doubt, subsection (1) prevents the release, even by a court, of an unlawful non-citizen from detention (otherwise than for removal or deportation) unless the non-citizen has been granted a visa." The Minister argues that the intention of section 196 was to make it clear that there was to be no discretion for any person or court to release from detention an unlawful non-citizen who is lawfully being held in immigration detention. "Mandatory detention remains an integral part of the government's unauthorised arrivals policy. "The government needs to ensure, as a matter of public policy, that all unlawful non-citizens are detained until their status is clarified. "This means that they must continue to be detained until one of three things happens: either they are removed or deported from Australia or that they are granted a visa. "It is not acceptable that any person who is, or who is suspected of being, an unlawful non-citizen is allowed out into the community until the question of their status is resolved." And that's it in a nutshell, Mr Speaker. That summarises the harsh, often brutal detention regime which currently operates in Australia. The Greens have consistently opposed mandatory detention. I think we, as a nation, were proud of the compassion we showed to the many people who were displaced as a result of conflicts in Europe and Asia during post world war two period and leading up to the 1990s. In my own electorate of Cunningham we had a substantial influx of refugees and immigrants, many of whom had none of the papers that the Minister told us are often destroyed by asylum seekers. After the war these displaced people were housed in hostels within our communities. Their children went to our local schools. Many of them eventually found employment locally and have added substantially to the now rich multicultural society which exists in the Illawarra, and throughout many regions of Australia. How things have changed, Mr Speaker, since 1994 and especially under the Howard Coalition government since 1996! As the Minister outlined in his second reading speech, since 2002 the Federal Court has decided that the Migration Act does not prevent the Court from making interlocutory orders that a person be released from immigration detention pending the court's final determination of the person's judicial review application. These orders mean that a person must be released into the community until the court determines their application. This is quite a clear determination - release from detention is the right and just thing to do in these circumstances. And it is comforting to know that the court is able to step in at this point. It is obvious that the Department of Immigration and the private firms managing Australia's detention centres have had trouble in implementing a truly humane regime to deal with detainees. The court's intervention is obviously needed, especially on humanitarian grounds. However, the Minister is unwilling to accept the court's intervention here. He is unable to accept the independent umpire's decision. He refuses to listen to the many voices in the Australian community who deplore the action of the government in their name. "Where the person is subsequently unsuccessful (in their visa application), that person must be relocated, re-detained and arrangements then made for their removal from Australia. "This is a time consuming and costly process and can further delay removal from Australia." Is the Minister giving as his excuse for indefinite detention the mere fact of administrative convenience? Well frankly, this is not acceptable in a so-called civilised society. "I understand that there have now been some 20 persons released from immigration detention centres on the basis of interlocutory orders. "In the case of more than half of these persons removal action has been commenced, as they are of significant character concern, and the government believes their presence is a serious risk to the Australian community." Using this kind of anecdotal evidence to justify a significant change in Australian law is unfortunately the standard of justification we have come to expect from the Immigration Minister, and indeed, from this government. More and more Australians everyday are getting wise to the governments lack of compassion and calling into question the limits to which our border protection policy has been taken. As I said before, this Bill seeks to amend the Migration Act to make it clear that, unless a so-called unlawful non-citizen is removed from Australia, deported, or granted a visa, the non-citizen must be kept in immigration detention. And this applies unless a court finally determines that the detention is unlawful or the person is not an unlawful non-citizen. a decision to refuse to grant, to cancel or refuse to reinstate a visa may be determined to be unlawful by a court." This Government's record in regards to the treatment of asylum seekers, as I and many other speakers have said, is nothing short of shameful. Their absolute lack of compassion and a willingness to use people seeking asylum as political pawns has come to characterise this government's detention regime as excessively harsh and regressive. The reputation of this nation has been tainted. On top of this, it appears that the government's proposal in this legislation is not only immoral, it may well be contrary to, and fly in the face of, established Australian legal precedent. The government insists that its detention policies, such as the one we are considering here today, are not designed to be punitive. The High Court in Che Kheng Lim v. The Minister for Immigration, Local Government and Ethnic Affairs (1992) - known as Lim's Case - said that such detention would be unconstitutional unless approved or reviewable by the courts. "There are grave doubts about the legality of the detention of those Palestinians and Iraqis who have been rejected and who have made written application to be removed from Australia but who must wait in indeterminate detention through no fault of their own. "There is a need for periodic judicial review of post-rejection detention, permitting the release of persons on bail provided they have fulfilled health, security and identity checks and provided the court is satisfied that any person bailed is likely to be available for a return to detention immediately prior to removal from Australia." Why does the government not support this reasonable ruling? The 1998 White Paper set out the criteria by which Immigration Act powers of detention were exercised and confirmed that the starting point in all cases was a presumption in favour of granting temporary admission or release. Since Lim's case, Mr Speaker, any case involving indefinite detention, or detention beyond the period that is reasonably necessary for processing or deportation, may be unlawful. This is because a question may be raised as to whether the detention is reasonably capable of being seen as necessary for the purposes of immigration processing or deportation or removal. It may also raise a question as to whether the detention should be characterised as punitive. The government tells us that such open ended detention is not punitive. Yet High Court judges Brennan, Deane and Dawson found it to be so back in 1992. "the authority which they purportedly confer upon the Executive cannot properly be seen as an incident of the executive powers to exclude, admit and deport and alien. "In that event, they will be of a punitive nature and contravene Ch.III's insistence that the judicial power of the Commonwealth be vested exclusively in the courts..."
Simply put, the government's action is punitive and the court therefore has a role to play in dealing with this matter. The issues in Lim's case arguably reflect the broader proposition that Australian law does not support arbitrary detention of asylum seekers. This proposition has also been extensively explored in the context of international law. Legal debate aside, Mr Speaker, the Greens principally object to this legislation on the basis that it is yet another example of this government's sheer immorality on this issue. Its willingness to detain people indefinitely for the apparent 'crime' of seeking asylum in this country defies explanation or understanding. The Greens condemn the Government for this Bill and strongly oppose it. Amnesty International is also one of many voices in the community which is part of the chorus of opposition to the government's current detention regime. "arbitrary, a form of state-controlled custody without charge, trial or independent review of whether detention is necessary in the individual case, appropriate and otherwise meets international human rights standards." Amnesty International opposes Australia's punitive measures to deter unwanted asylum seekers by treating others harshly even though they committed no crime. Specifically, the organisation objects to the use of detention of unspecified and potentially unlimited duration without judicial review, to the automatic detention of children, and to detention in conditions which may be considered degrading or inhumane. Such violations of human rights cannot be justified as a method of deterring potential asylum seekers. Amnesty International is concerned about a detention regime which takes no account of the effect of prolonged detention on the mental health and well-being of detainees. The psychological impact of detention, and particularly indefinite detention, has been well documented. The 'legality' of mandatory detention under international law has also been widely canvassed. It has been argued that mandatory detention is contrary to the prohibition on unnecessarily restricting the movement of and/or penalising bona fide asylum seekers in Article 31 of the Convention Relating to the Status of Refugees. International human rights instruments refer to detention as a deprivation of liberty. They clearly distinguish it from incarceration resulting from criminal charges or sentencing. "confinement within a narrowly bounded or restricted location, including...closed camps, detention facilities or airport zones, where freedom of movement is substantially curtailed, and where the only opportunity to leave this limited area is to leave the territory." The guidelines state that in the view of the UNHCR, the detention of asylum-seekers is 'inherently undesirable', and that "as a general principle asylum-seekers should not be detained." The guidelines require that "permissible exceptions to the general rule that detention should normally be avoided must be prescribed by law," and that such exceptional detention should be for a "minimal period" only. The guidelines also explicitly declare that detention "as part of a policy to deter further asylum-seekers... is contrary to the norms of refugee law." "We are ... therefore fortified in our conclusion that 196(1)(a) should be read subject to an implied limitation by reference to the principle that, as far as its language permits, a statute should be read in conformity with Australia's treaty obligations. "To read section 196 comfortably under Article 9(1) of the International Covenant on Civil and Political Rights, it would be necessary to read it as subject, at the very least, to an implied limitation that the period of mandatory detention does not extend to a time when there is no real likelihood or prospect in the reasonably foreseeable future of a detained person being removed and thus released from detention." As was noted by Kerry O'Brien on the 7.30 Report on the 27th May, the Federal Government's tough strategy to stop asylum seekers arriving on the Australian coastline appear to have worked. However the humanitarian cost is real and tragic. The 7.30 Report went on to document the suicide of an Afgan refugee on a temporary protection visa. In his suicide note Habib Vahedi said he feared Australian authorities and that he believed he would never see his family again. There are other examples of where this inhumane policy has had adverse impact upon the individual refugees, whether they be man, woman or child. It appears that the government has learnt nothing from these outcries by local and overseas human rights groups, and that this Bill is just another example of the government's 'tough stance' on asylum seekers. At what cost must our borders be protected from asylum seekers? Will this Government stop at nothing to prevent asylum seekers, be they men, women or children, from enjoying a limited amount of freedom, however briefly, in this nation? We have seen only too well in the last week or so the lengths to which the Minister will go to defend and enhance the current detention regime. This is a shameful piece of legislation. The Australian Greens condemn this Bill and we condemn this government for its continuing inhumane treatment of asylum seekers. Thank you, Mr Speaker. On 27 May 2003 ChilOut, a group of Australian parents and citizens opposed to the incarceration of children in Australian immigration detention centres, released a detailed report on the treatment of children in those centres. This report had been presented to the Minister, and the Department of Immigration Multicultural and Indigenous Affairs, in February 2003. This report is a scathing indictment on the government's handling of this issue. It has brought international shame upon this nation, and highlights the fact that mandatory detention must be halted immediately. The ChilOut report, entitled The Heart of a Nation's Existence, presents a litany of examples where ACM - the private firm which managed these detention centres - had failed to abide by the terms of its contract. This report clearly reveals that, when cases of abuse were revealed, the Minister, and his department, failed to police this contract - i.e. they failed to enforce any sort of compassionate and rational quality assurance program. Australians cannot stand idly by and witness the mistreatment of children, carried out in our name and on our behalf. This is an issue of human rights, not politics. Any child in detention is one child too many. Mr Speaker, I seek leave to table this report. The purpose of this Bill is to amend the Migration Act 1958 to provide a comprehensive framework for the Migration Regulations to deal with sponsorship requirements. "Sponsorship is an important element of the system for managing the entry and stay of persons in Australia. It plays a central role in protecting the Australian community from the costs and risks associated with the stay of non-citizens in Australia." This Bill formally recognises the long-standing Government policy that where non-citizens are brought to Australia by sponsors, the sponsors, as opposed to the Australian community, should bear all costs in relation to the non-citizens. This is particularly the case in relation to temporary residence sponsors who gain a commercial advantage from the sponsorship arrangements. There are currently arrangements already in existence for sponsoring the entry and residence in Australia of employees, family members and people for humanitarian reasons. On top of this, there are special arrangements for sponsoring employees to work in regional areas of Australia. There are particular rules under the Migration Regulations 1994 covering sponsorship for temporary business purposes and family reunion. In addition, the official Migration Instructions contain detailed guidance for immigration officials in relation to sponsorship of various categories of entrants. compliance by the applicant with the conditions of entry into Australia specified in the visa. In the case of family members, the sponsor gives a written undertaking to provide support during the relative's first two years in Australia, including accommodation and financial assistance as required. In general, a sponsor must be over 18, and an Australian citizen, permanent resident or an eligible New Zealand citizen. The Bill follows a review of Australia's Temporary Residence Program carried out by the 'external reference group' for the Department of Immigration and Multicultural and Indigenous Affairs. In summary, the requirements to be approved as a sponsor, the undertakings required of the sponsor and the sponsorship approval processes differ for different visas. The differences do not necessarily reflect different policy objectives but seem to have resulted from sponsorship requirements for different visas drifting apart over time. that there should be a standardised sponsorship, involving standardised undertakings, for temporary resident visa sponsors. The Government has partly accepted the Review's recommendations in drafting the Bill. "In accordance with the recommendation of the report In Australia's Interests: Review of the Temporary Residence Program, this bill aims to standardise sponsorship arrangements as much as possible. However, it also recognises differences between types of sponsors and sponsorships and the need to provide for different sponsor relationships.... The bill gives power to make regulations that differentiate between the approaches taken in different visa regimes. This is the case in relation to sponsorship approval criteria and processes, as well as the undertakings and sanctions applicable against sponsors. This will enable the government to take different approaches to sponsors of different types. For example, it will allow us to differentiate between sponsors who sponsor large numbers of people or gain a commercial advantage from sponsorship and sponsors in the family stream." undertakings to be made by sponsors. The Bill also allows certain actions to be taken against sponsors of prescribed temporary visa holders if they breach their undertakings. In addition, it will prevent appeals to the Migration Review Tribunal where an approved sponsor is required for the particular type of visa but arrangements for the sponsorship are not in place or in prospect at the time of the appeal. The Government has stated that 'long stay sponsored business visas' and 'sponsored professional development visas' (i.e. for education and/or training) are the first visa classes planned to be covered by the Bill. The purpose of this Bill, as stated by the Minister, is to strengthen and clarify existing statutory powers to identify non-citizens. This Bill provides the framework for the collection of biometric data by immigration officials. Current Australian and overseas immigration regimes routinely require photographs and signatures as proof of identity. This Bill seeks to expand the powers available to collect other biometric information, including fingerprints, iris scans, facial scans and body measurements from non-citizens in particular circumstances. This Bill also sets out a regulatory framework to create a database or databases for the storage of this information once collected. The current government claims it is compelled to introduce this legislation to tackle the growing incidence of document fraud worldwide. A discussion paper was released earlier this year regarding the establishment of a national set of powers for cross border investigations into serious and organised crime, including the use of assumed identities. Some of the key issues in regard to this Bill are whether biometric databases or databases, in relation to non-citizens in a non-criminal context, are proportionate to the size of the currently undetected identity fraud by non-citizens, and how the information collected will achieve these purposes. It is important to note that biometric information does not of itself identify an individual. The usefulness of the biometric record is when it can be identified as belonging to an individual by some additional information or when it can be compared against a similar record or records. It is also important to note that in an immigration context, the collection of non-citizen biometric information would be useful if the non-citizen subsequently committed or attempted to commit identity fraud, or their data could be checked against equivalent data overseas. The precise measurement of the extent of identity fraud is difficult. Detected fraud can be measured, but extrapolating that into any total figure involves a degree of guesswork. In Australia, it is even more difficult as there has been no public study of identity fraud per se, although the Australian Government has estimated that the total cost of identity fraud to be $4 billion per year. In addition to this, it is unclear what part of this is perpetrated by the hundreds of thousands of non-citizens who enter Australia annually for Parliament and not the Minister." The Victorian Bar has also stated concerns with the Bill in a submission to the Inquiry, highlighting that the supervision of the database in collection, storage use and destruction of information was not adequately provided for in the Bill. The federal privacy commissioner Malcolm Crompton said the indefinite retention of some data "increased the possibility that the information may be used for purposes unrelated to the purpose of collection, perhaps years after that collection." He also said that there was scope for more careful regulation of the situations in which personal information may be disclosed to foreign countries and entities. "Australia has a Privacy Act that gives people certain rights. But when you send material out of the country you've lost control." According to the federal privacy commissioner, some of his accountability recommendations had not been incorporated into the Bill and he reiterated the need for a legislative requirement to review the Bill's operation after two years. The United Nations High Commissioner for Refugees also had comments to make regarding the proposed legislation. According to the UNHCR the proposed legislation "could provide additional safeguards to seek to prevent any adverse physical or psychological effects on the individuals concerned. Asylum seekers may possibly be recognised as refugees. Refugees in many cases, suffer trauma because of the persecution that they have experienced in their country of origin, or due to the circumstances of their flight. Requiring them to undergo biometric tests may aggravate their already precarious psychological mental state. It would therefore be useful for the proposed legislation to include adequate safeguards to prevent such adverse effects, notably through the provision of professional care and counselling, both prior to, and after, the testing." The UNHCR also goes on to mention that the proposed legislation does not refer to the scientific reliability of each of the biometric tests. We do understand that the reliability of each test may vary, thus resulting in different legal implications, for example in regard to the evidentiary weight. The UNHCR has stated that the proposed legislation be clearer on this matter. The UNHCR goes on to make various other points about the legislation and one further point of particular concern to the Greens. The proposed legislation provides for a broad scope of discretion on the part of responsible officers. The UNHCR believes additional safeguards should be specified, and the Greens strongly support this call. The submission made by the Public Interest Advocacy Centre has stated that the bill would 'abrogate fundamental individual human rights'. "The Government has failed to articulate a compelling need for legislation of this kind ... The measures that are introduced in this bill are in breach of Australia's international obligation to protect the right to privacy. One of PIAC's primary concerns is the absence of safeguards for the destruction of biometric identifiers. The point was made by PIAC in their submission that they welcomed the referral of the proposed legislation to an Inquiry, but stated that they were concerned about the short period for public consultation, which may prevent members of the public and community organisations with limited resources from preparing a full submission. PIAC believes that this Bill warrants considerable scrutiny, and recommends that further time should be allowed to enable thorough review of the powers which the Bill grants the Minister, and the effects on individual rights and liberties and children if the Bill is implemented in its current form. the process as a whole and the effects that it will have on asylum seekers and others seeking to enter Australia. Whilst PIAC recognises that there is a need to accurately identify those who seek to enter and remain in Australia, they argue that this must be balanced with the need for protection of individual rights and the utility of the proposed process. that the information proposed to be collected could be compared with data in other countries. As has been mentioned previously, precise measurement of identity fraud committed by asylum seekers is difficult. In Australia there has not been a public study of identity fraud. Further, Minister Ruddock did not, in his second reading speech, present any clear basis for his assertions in relation to the scope of this problem. In PIAC's opinion, and we support this assertion, the government has not presented sufficient evidence of the nature and extent of the problem to warrant passing such invasive legislation. In order to interfere with the fundamental human rights of asylum seekers and others entering Australia, a clear and substantiated justification must be articulated. Such a justification has not been provided. PIAC also states in their submission, and we support this point, that even if we accept, which we do not, that there is a pressing need for this legislation, we doubt whether it will have the impact claimed. To assess whether the amendments in the Bill will achieve their purpose it is necessary to know whether the data collected under the Bill is compatible with that collected in other countries. It is also essential to know whether arrangements have been made to facilitate the sharing of information between countries before the Bill is passed. There is evidence that other western countries such as the United States, Canada, United Kingdom and countries within the European Union collect personal identifiers, particularly fingerprints, signatures and photographs. However that is not where the majority of asylum seekers originate. Prior to the Bill being passed it would be useful to ascertain whether countries such as Iran, Afghanistan, Syria and Jordan collect personal identifiers that could be compared with information proposed to be collected in Australia. In PIAC's experience, these are the principal countries in which it is alleged that asylum seekers could have claimed effective protection. The Bill provides that a purpose of obtaining personal identifiers can be to assist in the identification of non-citizens in the future. This allows information to be collected in cases where there is rarely if ever, immigration fraud, "just-in-case". In PIAC's view this is not a proportionate or justifiable response when there is no evidence as to the scale of identity fraud by non-citizens. According to PIAC, as currently drafted, there are significant gaps in the Bill. The Bill contemplates for example, that the Minister will prescribe at a later date the circumstances in which personal identifiers are required and the exceptions to these circumstances. New personal identifiers may be prescribed in regulations, and regulations may also prescribe the manner for carrying out identification tests. The application of the regime is potentially extremely broad. Whilst PIAC gains some comfort from the knowledge that any delegated legislation will be scrutinised by the Senate Regulations and Ordinances Committee, PIAC considers that it is inappropriate that legislation which affects the fundamental human rights of individuals should be enacted with such lack of clarity. The Human Rights Committee's General Comment provides that legislation interfering with the right to privacy must specify in detail the precise circumstances in which such interferences may be permitted. It is also well established that, in interpreting legislation, courts are reluctant to impute to the legislature an intention to interfere with fundamental rights unless that intention is manifested by clear and unmistakable language. In PIAC's view the provisions in the Bill relating to the destruction of personal identifiers are hollow, and provide little protection. In relation to information that is not exempt, the Bill requires the destruction of the identifying information, but not the sample itself. Further, identifying information can be indefinitely retained if the person to whom it relates has, for example, ever been in immigration detention, had a visa cancelled or refused, or overstayed a temporary visa. PIAC considers that these provisions are unsatisfactory, and recommends that a time limit be set for the destruction of all information (including both the sample and identifying information). In this regard PIAC refers the Committee to the Eurodac system which has been recently introduced in the European Union (EU). This system only collects anonymous fingerprints, and all samples are destroyed after 10 years, or upon a grant of citizenship. PIAC considers this might be an appropriate precedent for Australia to follow. PIAC is concerned that the Bill, as currently drafted, does not provide for supervision by an independent authority over data collection, storage, use and destruction. By way of comparison, PIAC again refers the Committee to the Eurodac as a precedent. To ensure there is no misuse of the system, a national supervisory authority in each participating state monitors independently the lawfulness of the processing of data. As a further safeguard, a joint (EU and participating states) supervisory authority ensures that the rights of data subjects are not violated. This will shortly be replaced by an independent supervisory authority, the European Data Protection Supervisor, a position being established by the EU. As a final safeguard the European Commission will submit to the European Parliament and to the council of the EU, an annual report on the management and working of the Eurodac. PIAC recommends that this Bill be amended to include supervisory powers of a similar nature given to an independent authority, such as the Ombudsman. PIAC considers this is a vital requirement in order to enhance protection against arbitrary or unlawful interferences with personal information. PIAC is of the view the proposed data collection process will be invasive and demeaning and will have the effect of further de-humanising and alienating asylum seekers arriving in Australia, regardless of whether their claims for refugee status are legitimate. Many asylum seekers have fled from repressive and destructive regimes. The cumulative effects of mandatory detention, patrol by guards for example and now a regime of requiring personal identifiers is punishment, particularly in light of the fact that the Bill allows the use of reasonable force in carrying out identification procedures. If this Bill is passed, it will have the psychological effect of treating asylum seekers like criminals. In this instance they will be treated more harshly than criminals. Under the Crimes Act, for example, identification material is confined to prints of a person's hands, fingers, feet or toes, recordings of the person's voice, samples of the person's handwriting, photographs or video recordings. The types of identifiers provided for in the Bill go further than this to include height and weight measurements, iris scans and identifiers which are yet to be prescribed. Further, the Crimes Act provides that identification material must be destroyed "...as soon as practicable" if a period of 12 months has elapsed since the information was collected and proceedings have not been instituted or have been discontinued, or if a person is acquitted or no conviction is recorded. In contrast, as has been discussed above, this Bill provides that personal identifiers can be retained indefinitely in certain circumstances. PIAC has serious concerns about this Bill, and the Greens echo these concerns. In PIAC's opinion, the government has failed to articulate a compelling need for legislation of this kind. The Bill does not appropriately balance the need to accurately identify persons entering Australia with the need to protect individual rights. PIAC also considers that there is a lack of verifiable evidence that this Bill will be effective in achieving its purpose of combating identity fraud. The measures that are introduced in the Bill are in breach of Australia's international obligation to protect the right to privacy. Further, there is inappropriate use of delegated legislation and an absence of provisions relating to destruction and supervision of information collected. PIAC is also concerned about the effects the measures will have on asylum seekers. Accordingly, PIAC is of the opinion, and the Greens support this opinion, that the Bill should not be passed in its current form. Cunningham MP Michael Organ says Immigration Minister Philip Ruddock's continual mismanagement of the asylum seeker issue renders him unfit to hold Ministerial office. "The revelations in last night's 'Four Corners' program on ABC-TV are deeply shocking to any fair-minded person", Mr. Organ said. "The claims of deliberate understaffing by Australian Correctional Management at the Woomera detention centre, and the appalling toll that took on detainees, must have been known to Ruddock's department. As the Minister responsible, he should have taken action to ensure that basic human rights were accorded to those unfortunate people; he did not do so." "Even today he is unapologetic, hiding behind suggestions that the claims stem from an industrial dispute, and telling his Department to investigate itself over claims of fraud allegedly perpetrated by ACM, the Australian arm of the U.S. Wackenhut Corporation." "This Minister is the same man who was a party to the lies told to the Australian people in the infamous 'children overboard' affair", Mr. Organ said. "Ruddock's actions have stained our nation's reputation as a fair and compassionate society. He should resign forthwith, and if he doesn't the Prime Minister should sack him." Cunningham MP Michael Organ has sharply criticised Immigration Minister Philip Ruddock over his latest attempt to deflect criticism of the treatment of children in Immigration detention centres. "It is simply not good enough for the Minister to continue to parrot his defence that claims of child abuse at Port Hedland, Villawood and Woomera are untested", Mr. Organ said. The Department of Immigration, Multicultural Affairs and Indigenous Affairs has had a report from ChilOut (Children out of Detention) summarising alleged and confirmed reports of abuse and neglect, including use of physical force, inappropriate physical or chemical restraints, verbal abuse, taunts and hostility towards children since 2 January this year." "For Minister Ruddock to say today that the claims are not new is dey have assessed the matters and believe there are no issues of substance." "What nonsense! Ruddock is again playing Pontius Pilate, washing his hands of the matter", Mr. Organ said. Australian Greens Member for Cunningham Michael Organ, looks forward to attending a protest with other members of the community in leafy Pennant Hills tomorrow and has publicly supported the right to protest in support of asylum seekers. "Let us not forget that Ruddock is responsible for this protest in the first place, his Government's policy of gaoling asylum seekers is a repulsive affront to the Australian way of life. Today there are 1113 men, women and children in prisons, many in the desert, many of whom have been locked up for years and who face no prospect of release. Remember though that there are also over 60,000 people peacefully living at large in the Australian community who do not have any visa at all. This demonstrates the clear and manifest failure of this policy and exposes the real reason for the Government's collection of infamous prisons such as Villawood and Baxter - to appease right wing Hansonites. To many in the Australian community, this is a disgusting and disgraceful state of affairs that requires a peaceful protest in response- people are right to protest against this inhumane policy from this heartless government anywhere in Australia - even in Pennant Hills. Every day the policy of imprisonment continues, Australia goes a step further away from being a civilised country. So whilst this protest may inconvenience some - I ask people to consider how it would be for your family to be imprisoned in the desert for years, with no prospect of release. That's more than an inconvenience - it's a disgrace" Michael Organ said. The Prime Minister has sunk to a new low with his assertion this morning that asylum claims from the 14 Kurds who arrived at Melville Island last week were irrelevant, Cunningham MP Michael Organ said today. "John Howard's claim that 'At the time any so-called application for asylum might have been made, the islands had been excised' is the height of hypocrisy," Mr. Organ said. "The Prime Minister knows full well that the excision of the Tiwi Islands was applied retrospectively, and when these unfortunate individuals arrived, Melville Island was still part of the Australian migration zone." "Over recent days Immigration Minister Amanda Vanstone and Foreign Minister Alexander Downer denied that any claim for refugee status had been made." "After admitting these denials are wrong, John Howard compounds the falsehood by claiming that it's irrelevant because of the retrospective excision of Melville Island." "This government seems incapable of telling the truth", Mr. Organ said.